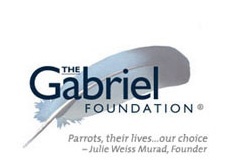 Shauna Roberts sits on the Board of Directors at The Gabriel Foundation. She plays an active role in many of their programs when she is not busy caring for her own flock of fifteen. Cockatoos are definitely Shauna's area of expertise and the Foundation counts on her for advice on this complicated species. Shauna also runs some of The Gabriel Foundation's online groups.